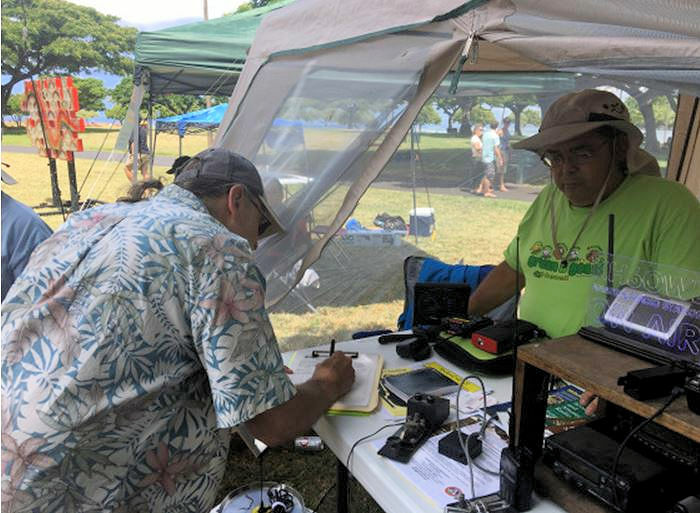 Revised FCC Form 605 Will Ask Applicants "The Felony Question"
Ham Radio is There, as Honolulu Hosts a Successful 10th Annual "Geek Meet"
The Amateur Radio Parity Act of 2017 was introduced in the US Senate on July 12, marking another step forward for this landmark legislation. Senators Roger Wicker (R-MS) and Richard Blumenthal (D-CT) are the Senate sponsors. The measure will, for the first time, guarantee all radio amateurs living in deed-restricted communities governed by a homeowners' association (HOA) or subject to any private land-use regulations, the right to erect and maintain effective outdoor antennas at their homes. The Senate bill, S. 1534, is identical to H.R. 555, which passed the US House of Representatives in January. "Amateur Radio continues to be a critical part of our emergency communications operations," Wicker said. "Mississippians learned firsthand after Hurricane Katrina how Amateur Radio operators can provide a resilient, distributed network to first responders and disaster relief organizations when other communications tools fail." 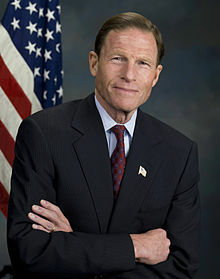 "Amateur Radio operators provide an invaluable service to their communities by assisting local emergency communication efforts when disasters occur and main lines are down," Blumenthal said. "This bipartisan measure ensures that operators have access to the tools they need to support our first responders when lives are at stake." FCC Chairman Ajit Pai applauded the bill in late January, saying that it would "help Amateur Radio operators, and take several steps to promote public safety." ARRL President Rick Roderick, K5UR, expressed the League's appreciation to the Senate sponsors. 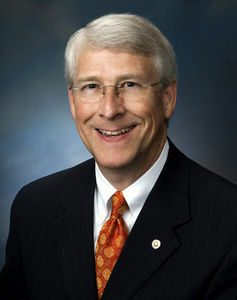 "ARRL is grateful for the support of Senators Wicker and Blumenthal for sponsoring this important piece of legislation, and for advocating this bill for the past 3 years," he said. "Their continuing support is critical to the success of our efforts." President Roderick also thanked Senator John Thune (R-SD), who chairs the Senate Commerce Committee, for "championing the Parity Act in the Senate since the beginning of our effort." In a statement, ARRL said it looks forward to working with the bipartisan leadership of the Senate and the Commerce Committee to help move the Wicker-Blumenthal legislation through the Senate and to the President's desk. 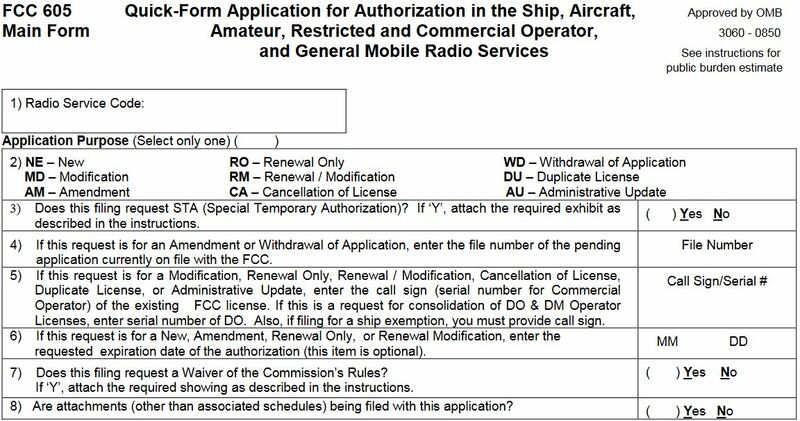 A revised FCC Form 605 -- Quick-Form Application for Authorization in the Ship, Aircraft, Amateur, Restricted and Commercial Operator, and General Mobile Radio Services -- going into effect in September will ask all applicants to indicate if they have been convicted of or pled guilty to a felony. The Communications Act obliges the Commission to ask "the felony question," as it did on the old Form 610 and still does on other applications. This action will correct its omission on Form 605, which has existed for years. Applicants' responses and explanations will be used to determine eligibility to be a Commission licensee. The FCC told ARRL that it's still deciding whether to issue a public notice on the change. "The Commission is revising the basic qualifications section of the form to include a question regarding whether an application has been convicted of a felony in any state or federal court," the Office of the FCC Secretary explained in a May filing with the Office of Management and Budget (OMB), which must okay the revision. "Applicants answering YES must provide an explanation regarding the conviction. This item enables the FCC to determine whether an applicant is eligible under sectionsâ310(d) and 308(b) of the Communications Act of 1934, as amended, to hold or have ownership interest in a station license." The revision also will apply to NCVEC Form 605, the unofficial Amateur Radio-specific version of the application that is completed and filed at volunteer examiner coordinator (VEC) examination sessions. VECs will have to start using the revised form on September 7. Responding to VECs' questions, the FCC offered some guidance, with a particular focus on NCVEC Form 605. 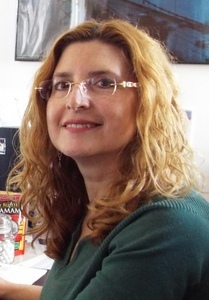 ARRL VEC Manager and NCVEC Vice-Chair Maria Somma, AB1FM, thanked the FCC for honoring a request to amend the effective date of the change. "At the urging of the NCVEC leadership, the FCC took into consideration the undertaking to change and distribute all affected forms and update software and agreed to push back the execution date by 1 month," she said. The NCVEC will create a revised NCVEC Form 605 and release it to VE teams before September 7. Once the Form 605 update has been implemented, assuming all other information is correct, negative felony question responses will result in a license grant, the FCC said. A YES will place the application in the "pending file for review" category. Applicants answering YES would have to, within 14 days, provide the FCC with a statement explaining the circumstances, and a statement "giving the reasons why the applicant believes that grant of the application would be in the public interest, notwithstanding the actual or alleged misconduct," the revised Form 605 instructions state. 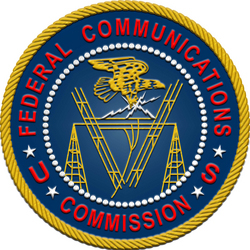 The FCC said an applicant's answer to the felony question and explanation will be public via ULS, unless a separate request is made to the FCC that the applicant's explanation be kept confidential. The FCC will review applications on which the felony question has been answered in the affirmative, and decide whether to grant them or designate them for hearing. "The applicant must provide sufficient information for the FCC to determine whether there exists any material and substantial question of fact regarding whether the applicant has the character qualifications to be a Commission licensee," the FCC said. The FCC said the felony question must be answered every time -- even if previously answered -- for New, Modification, Renewal/Modification, and Amendment applications. "Assuming that nothing has changed, the attachment to the subsequent applications can simply reference the file number of the application where the complete explanation was given, rather than having to set forth the complete explanation each time," the FCC memo said. "Clubs are not exempt from the felony question. The question applies to the club as an entity and to the trustee, but not to any other individual officers." Read more. "Power Supplies" is the topic of the latest (July 20) episode of the "ARRL The Doctor is In" podcast. Listen...and learn! Last February, many HF listeners across North America and elsewhere were able to copy signals from Alaska's High Frequency Active Auroral Research Program (HAARP) during its first scientific research campaign since it was taken over by the University of Alaska Fairbanks (UAF) Geophysical Institute in 2015. 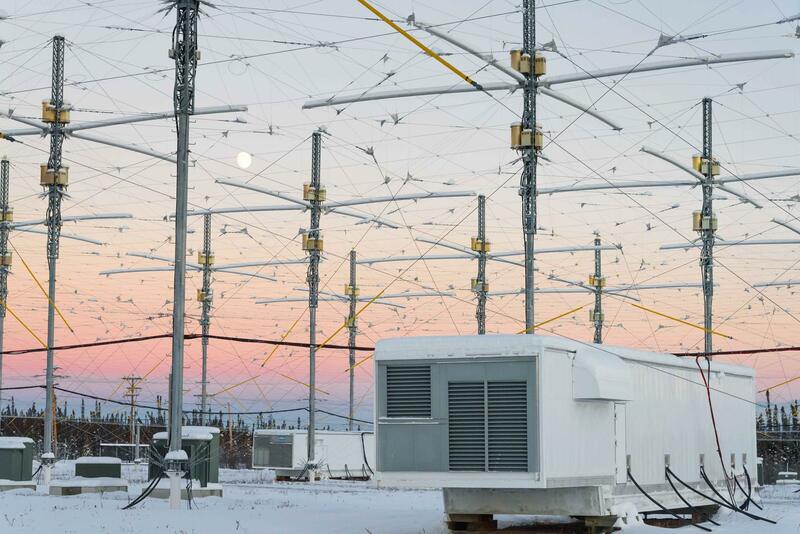 UAF Space Physics Group Assistant Research Professor Chris Fallen, KL3WX, told ARRL this week that the next HAARP research campaign, which will get under way in mid-to-late September, will carry on the experiments begun during the previous campaigns. This time, though, even more listeners may be able to hear HAARP. A portion of the HAARP antenna array and one of the transmitter buildings. "Similar to the February campaign, I plan to inform listeners of selected experiment activities, allowing hams and SWLers to tune in and collectively participate," Fallen said. "One notable difference from the previous campaign is that another column of transmitter shelters at HAARP will be operational, both increasing the HAARP net transmitted power to 80% of its nominal 3.6 MW and increasing its antenna gain." In advance of the September scientific campaign, HAARP will hold an open house on August 19. "Throughout the day there will be talks by Geophysical Institute researchers on site about the HAARP facility and research, and other research topics pursued at the UAF Geophysical Institute," Fallen said. "As in the previous year, tours of the main transmitter array, control center, and power generation plant will be offered throughout the day. Hams and radio enthusiasts are encouraged to bring their equipment for photo opportunities or even to make contacts from the site." Fallen's February experimental campaign at HAARP included an audio broadcast, transmitting AM carriers and even some music on or about 2.8 and 3.3 MHz, with the resulting skywave signal consisting of a mix of both frequencies. He followed that with an "artificial aurora" experiment. Fallen is working under a National Science Foundation grant. He has posted additional information on his "Gakona HAARPoon 2017" blog. Follow HAARP on its official Facebook page or via Twitter (@UAFHAARP). Radio amateurs from several states will gather in southern Illinois on August 17-21 to operate special event station W9E, leading up to and during the 2017 solar eclipse on August 21. W9E, which will operate from Marion, Illinois, is one of several announced solar eclipse special events. "This will be the first total eclipse on American soil since 1991, the first on the mainland United States since 1979, and the first to sweep across the entire country since 1918. It will be an event you do not want to miss!" the W9E announcement said. "The far southern tip of the state of Illinois is the only place viewers can see the totality of the eclipse." W9E plans to operate on 80, 40, and 20 meters (and perhaps other bands, if conditions permit), on CW, SSB, and digital modes (JT65, JT9, and PSK31). All amateur operators visiting the area for the eclipse are invited to visit. A copy of your license and photo ID are required to operate. Amateur Radio license testing also will be offered during the event. While the W9E special event is under way, organizers are planning a joint exercise with ARESÂ® Illinois District 11 Emergency Coordinator W. Bruce Talley, WA9APQ, hoping not only to assist with local communication during the eclipse but to coordinate with other ARES groups as the eclipse travels from northwest to southeast. "Our plan is to be proactive and ready to respond as needed," said Talley. "Local volunteers and those from outside the area are welcome to sign up in the database. We are especially interested if you are coming to the area to view the eclipse and know where you will be stationed." The Solar Eclipse QSO Party (SEQP), sponsored by HamSCI, will take place on August 21, 1400 to 2200 UTC. As the August 2017 QST article "The Solar Eclipse QSO Party -- Are You Ready?" explains, "The objective...is to flood the airwaves with contacts, all measured by the automated receiver networks of the Reverse Beacon Network, PSKReporter, and WSPRNet. When those observations are combined with the logs from individual stations, the result will be one of the largest ionospheric experiments ever performed." The South Dakota's Black Hills Amateur Radio Club in South Dakota plans to operate special event K0E on the day of the eclipse, August 21, 1500-1930 UTC, from Harrison, Nebraska. Operation will be on 20 meters (14.260-14.280 MHz) and on VHF and UHF. Contact Bob Ewing, W0RE, for more information. The Near Zero Sunlite, Great American Eclipse N0S special event will take place August 20-22, 1400-2200 UTC, in Crystal City, Missouri, sponsored by the Jefferson County Amateur Radio Club. Operation will be on or about 3.850, 7.250, and 14.300 MHz. QSL with SASE to Jim Berger, WA0FQK, 131 Ozark Dr., Crystal City, MO 63019. 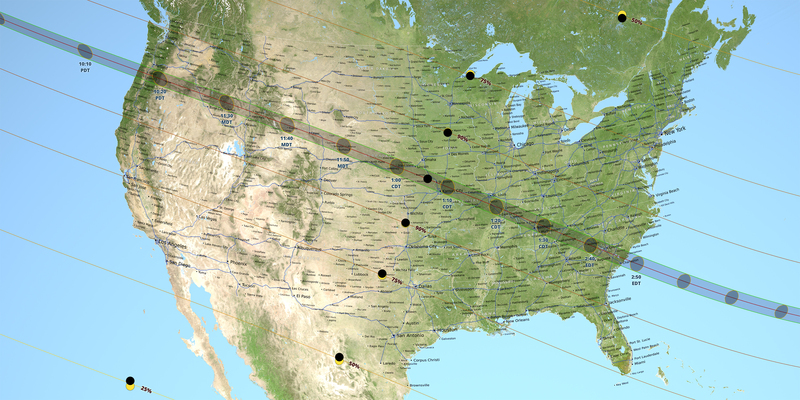 K7E will be on the air for the Great American Total Solar Eclipse 2017 special event, August 21-22, 1500-0300 UTC, from Laramie, Wyoming, near the path of totality, on or about 7.183 and 14.256 MHz. QSL Perry Lehman, N7FST, 19828 N. 78th Ln., Glendale, AZ 85308. The North East Wyoming Amateur Radio Association (NEWARA) will field special event W7S from historic downtown Gillette, Wyoming, August 19-21, 1200-0600 UTC, on or about 3.945, 7.265, and 14.265 MHz as well as on 147.360 MHz. QSL to Garth Crowe, WY7GC, P.O. Box 2208, Gillette, WY 82717. The Lincoln County Amateur Radio Club (LCARC) will operate special event N7E, August 20-22, 1600-1900 UTC, from Newport, Oregon, on or about 3.820, 7.200, 14.245, and 28.350 MHz. Contact Michael Eastman, N7ONP. Total Solar Eclipse special event N9E will be on the air on August 21, 1400-2000 UTC, from Hopkinsville, Kentucky, 7.180-7.190 MHz. Contact Peter Herman, KD9VV. The Lewis and Clark Radio Club (LCRC) will operate special event K9HAM from Godfrey, Illinois, on August 21, 0900-1700 UTC, on or about 7.225 and 14.280 MHz. Contact the LCRC for more information. In North Carolina, the Greater Gaston Amateur Radio Society (GGARS), will be on the air as N4S from Lexington, South Carolina, on August 21, 0000-1900 UTC, on or about 7.180 and 3.895 MHz. QSL to Robert Wells, W7CSA, QSL. Robert Wells, 409 Elizabeth St., Gastonia, NC 28054. The Southern Illinois University Amateur Radio Club (SIUARC) will sponsor W9S, August 18-22, 0000-2359 UTC, from Fulton, Illinois, CW on 160 meters and all modes on 80 through 10, with a focus on the lower bands. Satellites and 6 meters are also possible. QSL to Martin A. Schuette, N9EAT, P.O. Box 29, Fulton, IL 61252. Ole Virginia Hams Amateur Radio Club (OVHARC) will sponsor W4E from Lexington, South Carolina, on August 21, 1500-2015 UTC, on or about 3.810, 7.230, and 14.263 MHz and 146.52 MHz FM simplex. QSL to Terry Erlacher, KC4DV, 10855 Felicia Ct., Manassas, VA 20110. This may not be a comprehensive listing. Search the ARRL Special Events Calendar for total eclipse special event operations. UK telecommunications regulator Ofcom has announced plans to auction access to 190 MHz of former Amateur Radio spectrum in two bands -- 2.3 GHz and 3.4 GHz -- to make more room for mobile broadband services. In 2014, Ofcom announced in the wake of a year-long "consultation" -- a rule making proceeding -- that it was ending Amateur Radio access to significant portions of the 2.3 and 3.4 GHz bands, where Amateur Radio is secondary. The consultation followed the release by the Ministry of Defence of 40 MHz of spectrum at 2.3 GHz and 150 MHz of spectrum at 3.4 GHz. "The 2.3 and 3.4 GHz spectrum is needed to provide additional capacity to meet growing consumer demand for mobile broadband," Ofcom said in a statement. "It is important that the frequencies are made available as quickly as possible for the benefit of consumers and industry." Ofcom also has published a decision to draft regulations allowing Wi-Fi use in the Amateur and Amateur-Satellite Services 5,725-5,850 MHz band. "To make connections faster, we are making regulations to open an additional 125 MHz of spectrum in a 'sub-band' within the 5 GHz frequency range for Wi-Fi -- while ensuring protection for other users, such as satellite services," Ofcom said. The additional sub-band increases the number of 80-MHz channels available for Wi-Fi from four to six. In 2015, Ofcom said it was considering the Amateur-Satellite Service allocations at 10.475 GHz and 47.0 GHz for 5G use. Ofcom published an update on spectrum bands above 6 GHz that might be suitable for next-generation mobile, often referred to as "5G." In the middle of Honolulu, with the yacht club, harbor, the ocean, and the beach, Amateur Radio was there on July 2 for the 10th annual Geek Meet at Magic Island. 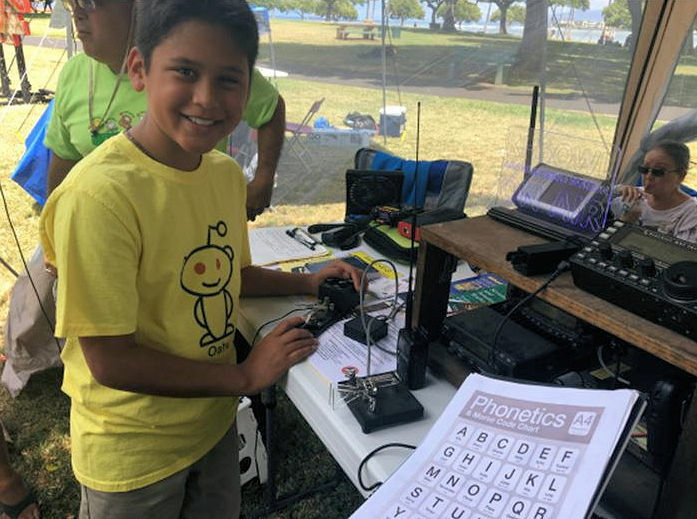 Hawaii's Geek Meet is a fun, casual, family-friendly, grassroots gathering for people who are curious and have a passion they want to share, including Amateur Radio. Members of the Emergency Amateur Radio Club of Honolulu and Pacific Section PIO Stacy Holbrook, KH6OWL, staffed a booth the 2017 Geek Meet. "We had over 200 visitors to our booth and signed several up for possible attendance at classes," Holbrook said. "Some people just stopped to see what we were about, and some got into an in-depth discussion on what we can do and how we do it." He said other local and visiting radio amateurs stopped by throughout the day-long event to show their support, and some even stayed to handle booth duty. One of the Geek Meet's founders, Ryan Ozawa, KH6WEB, said ham radio has been a part of the event every year from the very beginning. Holbrook said youngsters visiting the booth enjoying tinkering with the Morse code demonstration and spelling out their names in code. "They seemed to like the old-fashioned key better and played with it more," Holbrook said. "This was a great event and helped showcase what Amateur Radio is all about," Holbrook said. "It is a hobby, not just emergency communications, but that is a big part, and we discussed that with others, too." Holbrook said some booth visitors had never heard of Amateur Radio and confused it with CB radio. He said the booth team was happy to discuss the differences between CB and Amateur Radio. Other questions ranged from the typical "How far can you talk?" and "Why not just use your cell phone?" to "Why do you need Amateur Radio? We will never lose our cell phones or power for an extended period," and "What is the difference between your radio and the one in my car?" ARRL Board of Directors to Meet: The ARRL Board of Directors will meet for its second, regularly scheduled session of the year on Friday, July 21, and Saturday, July 22, in Farmington, Connecticut. ARRL President Rick Roderick, K5UR, will chair the gathering. 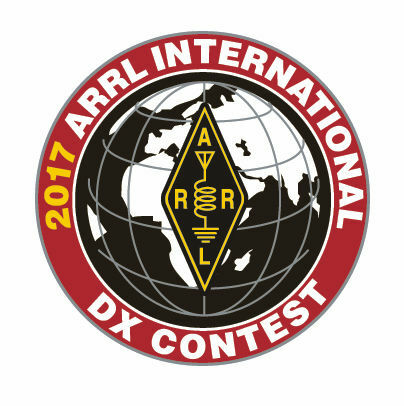 ARRL Inviting Orders for Very Limited Supply of ARRL International DX Contest Pins: A very limited supply of 2017 ARRL International DX Contest pins is available from the ARRL Contest Branch. To qualify for the International DX Contest pin, you must have completed 100 contacts in either the CW or phone contest weekends -- the pin is the same for either mode (contacts with the same station on different bands count toward the total). E-mail the Contest Branch to confirm pin availability. The cost is $7 (US) in the US, its possessions, and Canada, and $10 everywhere else (postage included). If availability is confirmed, send a copy of the first page of your Cabrillo log file with payment to DX Contest Pins, ARRL, 225 Main St., Newington, CT 06111. Allow 4 weeks for delivery after your order is received. Former Arizona Section Manager Jim Swafford, W7FF, SK: Former ARRL Arizona Section Manager Jim Swafford, W7FF, of Tucson died on July 7. An ARRL Life Member, Swafford was 94. He served as Arizona SM from 1985 until 1991. Swafford was licensed in 1937 as W9ZAW in Kansas and served in the US Navy during World War II. He later worked in the aerospace and broadcasting industries. Survivors include his wife Maria, KB7INH. Tad Cook, K7RA, Seattle, reports: The average daily sunspot number this week declined by just 1.7 to 26.6, although July 18 and 19 saw no sunspots. Average daily solar flux was 85.9, down 1.1 from the previous week. The average planetary A index rose 3.9 points to 13, the average mid-latitude A index rose from 9.6 to 10.9. 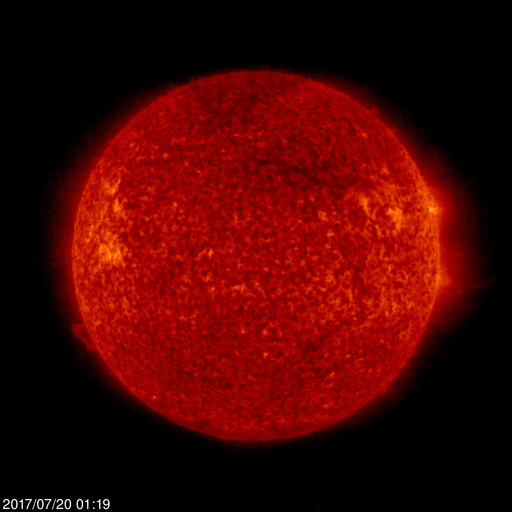 A coronal mass ejection (CME) on July 16 struck at 0545 UTC, driving the planetary A index to 41, and 27 the following day. Predicted solar flux is 75 on July 20-24; 70 on July 25-26; 75 on July 27-28; 90 on July 29-August 11; 85 on August 12-13; 80 on August 14; 74 on August 15-19; 75 on August 20-24, and 90 on August 25-September 2. Predicted planetary A index is 5, 8, 12, and 8 on July 20-23; 5 on July 24-August 4; 25, 10, and 8 on August 5-7; 5 on August 8-14; 8 on August 15-16; 15 and 12 on August 17-18; 5 on August 19-31, and 25 and 10 on September 1-2. David Moore called my attention to an excellent New York Times article, "Unlocking Mysteries in the Sun's 11-Year Cycle." Sunspot numbers for July 13 through 19, 2017 were 55, 58, 34, 26, 13, 0, and 0, with a mean of 26.6. The 10.7-centimeter flux was 92.3, 93.9, 91.6, 86.5, 85.6, 78.2, and 73.1, with a mean of 85.9. Estimated planetary A indices were 4, 4, 4, 41, 27, 7, and 4, with a mean of 13. Estimated mid-latitude A indices were 5, 3, 4, 29, 23, 7, and 5, with a mean of 10.9.